Cossitt Law | What is Bankruptcy Reaffirmation? Essentially, when you reaffirm a debt, you agree that you will still owe the debt after your bankruptcy case is over. Reaffirmation provides a sure way to keep collateral as long as you abide by the terms of the reaffirmation agreement and keep up your payments. You also may be able to negotiate new terms to reduce your payments, your interest rate, or the total amount you will have to pay over time. The drawback: You are still legally required to pay the balance of the debt after bankruptcy. Which means that, if it turns out you can’t make the payments and have to surrender that car or property, etc., you will have to still make payments on something you no longer own. Signing a reaffirmation agreement undoes the impact of the discharge with respect to the debt that was reaffirmed. This is where a bankruptcy attorney comes in. When your bankruptcy attorney signs off on your reaffirmation agreement, the attorney is basically agreeing that the contract is in your best interest and that debt should survive your bankruptcy. A competent bankruptcy lawyer who is committed to properly advising clients can provide the necessary advice and counsel for you to consider your options before reaffirming a debt. You could be at a very serious disadvantage if you reaffirm a debt you can’t pay. Do not dig yourself into a deeper hole. 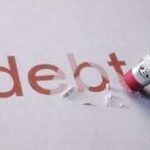 Contact Cossitt Law and schedule a consultation to discuss your debt situation. We are committed to providing you the best advice and counsel available to assist you in finding the solution that is in your best interest.